1. The Current Metal Scene is Weak and Bloated – There’s a reason that Megadeth is touring with support from Nonpoint and Fear Factory; there’s really not a lot of good choices when it comes to new metal bands. While I’m not the biggest fan of either, the tour as a package really delivered as a whole. Having Dave and company as the anchor was worth every minute. While many of us might miss Marty Friedman and Nick Menza, Dave only hires the best of the best. Shawn Drover and Chris Broderick never miss a beat or a note. The band is as tight and precise as it has ever been. 2. They Have a Sense of Humor – Seeing the personality shine through from one of your favorite bands is something that rarely happens anymore. Gone are the days where Rikki Rachman could humanize your favorite rockstars on “Jennifer” the beat up couch on Headbanger’s Ball. That’s why I was thrilled to see Jimmy Kimmel having some fun with the band this holiday season, and the guys were brilliant. This is the best Christmas skit I have seen since “Schweddy Balls” on SNL. 3. They Don’t Create the Same Damn Record Over and Over – I love Peace Sells, but I don’t want to have them create that same record over and over again. I like the fact that Dave pushes the musical boundaries a bit. In the age of 99 cent digital downloads, it’s good to see someone still taking the album seriously and not judging success based on one song or one critic for that matter. 4. They Don’t’ Make us Wait 5 Years Between Records – Band’s like Tool, Metallica, Slayer, Anthrax etc all have a huge fan base but they don’t seem to have any sort of respectable cadence when it comes to releasing new music. 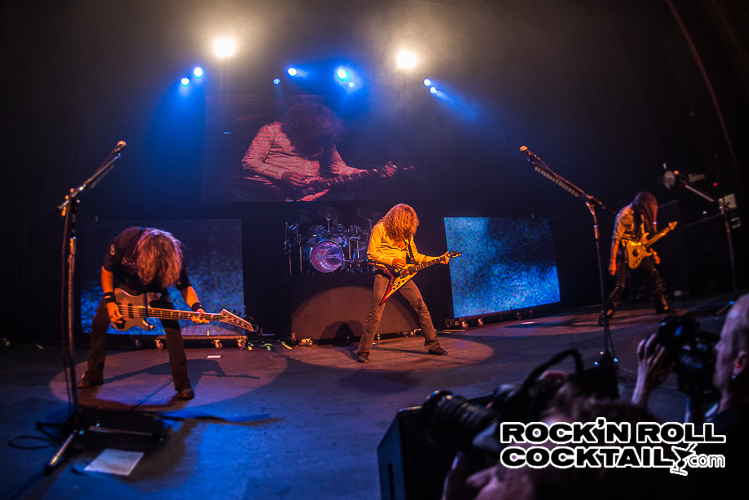 Even though Megadeth have taken some criticism for their musical direction, at the end of the day they are STILL delivering music to the fans. Much more than I can say about half the metal bands I grew up listening to. 5. Dave Mustaine is a Metal God – He was too metal for Metallica, he gave us metalheads a political opinion, he died once, and he’s in incredibly good shape for the remarkable life he has lived. How many of our metal heroes from the 80s and early 90s are looking this sharp? Hardly any. Check out the photos from the incredible show at the Warfield Theater last week here. 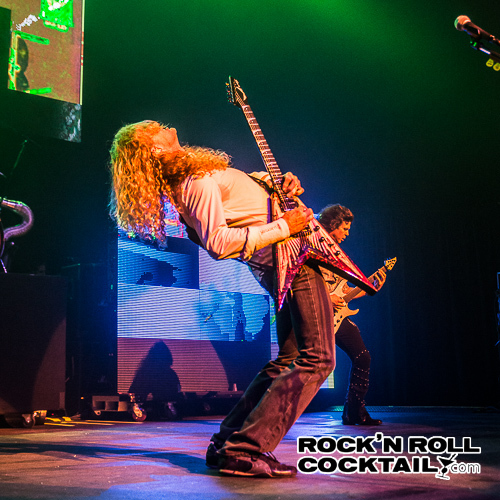 Also, MetalInjection is reporting that Megadeth will enter the studio next year for a new record. This is exactly the point I was making above.